The hotel was lovely, the bar nice, staff nice. Rooms a good size. However, dirty sheets and no toilet paper was a disappointment, especially as the price was not inexpensive. I can always count on friendly staff, clean rooms and a quality stay at this hotel. Great location near the airport. Simple hotel of very decent quality for a short business stay, very clean and quite functional room. Excellent location close to the Blagnac airport. Excellent location close to Blagnac airport - perfect given that my meeting was at a location in Avenue Albert Durant. Friendly hotel staff, very comfortable room and good breakfast choice. Nice hotel, very conveniently located, big parking and very comfortable beds. Friendly, helpful and welcoming staff. Lovely breakfast, relaxing bar area and a good night's rest in a comfortable bed. Also brought a dog with us which was great to be able to do. 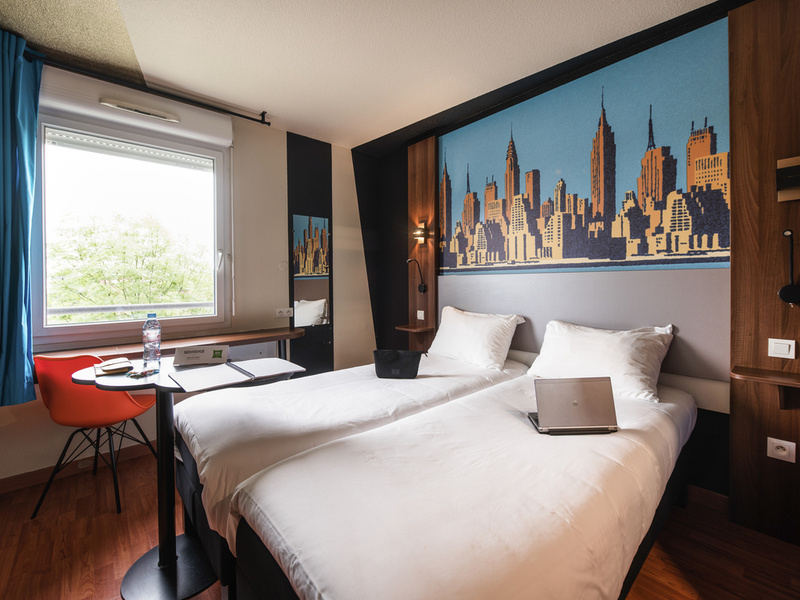 Having been almost stranded on a Sunday night at Toulouse Airport, I was so grateful for a comfortable room here plus breakfast at a very reasonable price. The reception spoke English, which sped things up, but that would not have been critical. I was very pleased overall and the room was a decent size, too. The staff were very helpful. Nothing was too much trouble. The rooms were clean, reasonable size and a nice bed. Breakfast is just right with the fresh orange (you feed in the oranges yourself) out of this world. Staff - excellent Room - tired and suffering from a recent flood The most annoying thing - being charged 60 cents for additional taxe de sejour. Just annoying, especially as this was a guaranteed prepaid rate. You were inflexible when I made a double booking and wanted to cancel one room (this is a guaranteed rate but not cancellable). It seems the rate guarantee is a fiction. A tiny amount of money but annoying in principle. Nice friendly staff not much space for clothes clean and tidy adequate for short stay. One big issue was they did not accept my accor loyalty card because it was booked by an agency on my behalf. Door (room 212) was not closing by itself, door was open all night long. A/C was not working. Light-situation in the room not very comfortable.